Plasma sprays are applied on various tools and equipments in an industry for crucial reasons. Plasma spray coating shields the equipments and machines from numerous kinds of damages like wear, rust and corrosion. The method of applying goes with heating the materials and molting them on the surface of machines in the form of coatings. The substance is first powdered infused with a high temperature plasma flame in order to advance it with high velocity. When the temperature of the material falls back to normal, they get in the form of coatings. The spray is applied using a gun which consists of materials including tungsten and copper. At first, the plasma is released with a high voltage where the material is charged for the further procedure. Once the material reaches the suitable temperature, the plasma is released from the nozzle. This is how the plasma is shaped in the form of coatings on various materials. The apex benefit of plasma spray coating is it can function well even under extreme conditions. Not only this, but the coatings are comparatively thicker in nature as compared to other materials. Metals like tungsten has enormously high melting point and not all coatings are suitable for them. Coatings by plasma sprays have a wide range of options for materials where it can be sprayed. Apart from that, there are other coatings like anti-stick coating which are also vital across many industries. 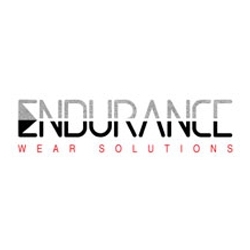 Endurance Wear Solutions LLP is a technology based company which provides technical solutions to enhance the productivity of machinery during the process of manufacturing. We also provide different types of plasma spray coating and anti-stick coating to improve the life of equipments used in different industries.